When it comes to an exciting nightlife in Chester, bars, pubs, and breweries are waiting to be explored and enjoyed. We know that it can be overwhelming to go through a list of all the available bars in Chester. With that in mind, we have compiled a list of bars and pubs in the city for you to narrow down your search. Liquor and Co. never disappoints. This bar is located on 31 Watergate St, Chester CH1 2LE, UK. They are usually open from 3:00 P.M. up to 1:00 A.M. If there is one thing to describe Liquor and Co. is that it is very stylish. The overall aesthetic of the place can surely take you back in time. You can relax and unwind with some of the best drinks in your hand. On top of all of this, you can enjoy a night out with friends while you listen to some of the best local music in Chester. Whatever your reason is for visiting Chester, you should not let the opportunity of grabbing a few drinks at the Commonhall St. Social. This bar is open all day up until late at night. You have ample time to visit this amazing place with your friends, colleagues, or with your special someone. The goods news is that the Commonhall St. Social can easily be located. Travelling to this place has never been this easy. It can be found on a side street in one of the busiest areas in Chester. Oh, and if you feel like bringing you pups here, it is totally pet-friendly! If you are looking for a more classic approach to enjoying a glass of whiskey, you can try visiting the Music Hall Tap. This pub is located at Music Hall Passage, Chester CH1 2EU, United Kingdom. It is open from 11:30 A.M. up to 11:00 P.M. If there is one thing you can be sure of with this place is that it aims to always be on trend with their food, drinks, and entertainment. It is a lively bar that offers great food in a very cool setting. Prohibition may be one of the most intriguing bars in Chester. It is a Cestrian independent bar that is actually inspired by the prohibition era in the United States of America during the early years of the 1920s. As you first step into Prohibition, you will immediately get a taste of the exquisiteness of the place. The decor will take you back in time. If you’re not sure what to get, you can start with their wide variety of cocktails. What makes Prohibition an interesting bar to try is that locating it can be tricky. It is tucked behind a “hidden door” on Watergate Street. Once you have located the said door, you have to knock on it as a doorman will let you in – just like in the movies! The Telford’s Warehouse presents an amazing view overlooking the canal. Similar to most bars in Chester, this one is also pretty chill and laidback. There is regular entertainment in the form of live music from some of the best local artists. 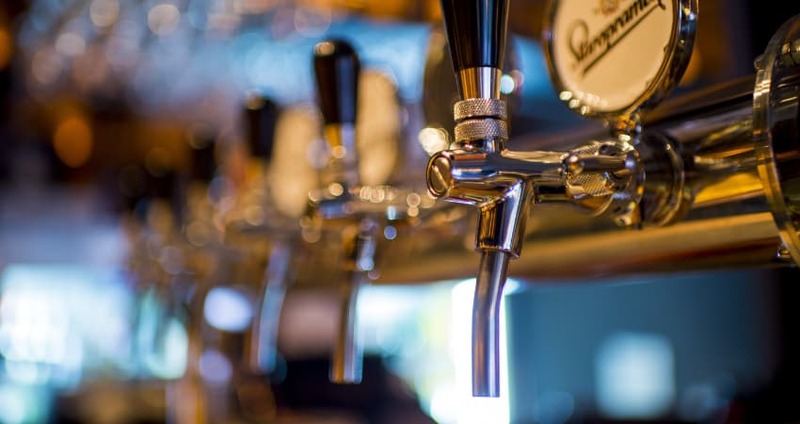 On top of that, if you are a connoisseur or an enthusiast when it comes to beers and wines, you would be happy to know that Telford’s Warehouse presents a vast variety of their brewed drinks. Telford’s Warehouse features a funky decor and super comfortable seating. You can dance, drink, chat, meet new people, and so much more. When it comes to drinking a cold beer, you know that a laid back atmosphere is the ribbon that ties it all together. With that in mind, the Ye Olde Boot Inn can truly make you feel like a local. It is hidden – so only those who truly know their way around Chester would frequent this bar; it is completely amazing, fantastic, and charming. Why? Well, not only do they serve some of the best beers and ales in Chester, the Ye Olde Boot Inn is also a great place for friends to catch up. It presents an almost old charmed Tudor architecture that is hauntingly beautiful. We have been going through some of the best laidback bars in the great city of Chester for quite some time now; however, we all know that there are those that like drinking in a completely different setting. If you are someone who is looking to enjoy a beer in hand while drowned in the loud music of a live performance, you may want to try out Kuckoo. Are you a fan of indie? This is the place to be. Kuckoo plays out all of your favourite classic indie tunes on top of serving you with some of the best cocktails in the city. What’s amazing about their drinks is that these are named after a song, a music genre, or an artist. To delve into the true Kuckoo experience is to indulge yourself in music’s greatest moments in history. Why should you go and visit the Bear & Billet restaurant and bar? Well, it offers some of the best pints served all the way back in 1664. On another note, the Bear & Billet is great for those who are looking to experience old school British pub aesthetic. It is very popular with the locals. You can watch a game here, drink ale, indulge in some of the most flavourful home cooked pub food, and interact with the locals. The bartender, staff, and the people who frequent the place are so welcoming and friendly. You’ll fit in quite right! The pub is located just outside the city so you also have the option to drink by the water or walk off your roast. If you want cuisine that interlocks with another culture, Porta is the best place to go. It offers Spanish cuisine in the heart of Chester. It is a cosy place that recreates the classic Spanish coffee shops. It is successful in recreating this aesthetic that you can immediately feel that you are being transported to the great country of Spain when you enter Porta’s famous yellow door. The place is not too extravagant – it’s just right for someone who is looking to enjoy a cold beer. On top of this, you can enjoy your drinks with their wide array of Spanish dishes. You can also enjoy some of their Spanish delicacies in the form of a tasty bite-sized nibble. As you pass through The Old Harker’s Arms, you will have the tendency to feel it’s a rather picturesque place for a bar. The Old Harker’s Arms is more on the interesting pubs in the city with a mix of professionals and interesting characters. Why should you go to Brewery Tap? You go there to experience their seasonal food and a wide array of ales and beers. The Brewery Tap, as the name suggests, offers Chester’s best beers and ales. Whether you are following a particular diet, the Brewery Tap can cater to your dietary necessities. Nonetheless, the meat and vegetable meals served at the Brewery Tap are to die for. Be sure to check them out every now and then as their menu tends to change every few days. All of the meals they serve are seasonal and would depend on the availability of the ingredients used. If you are planning to visit Brewery Tap, we highly recommend that you try out their braised beef pie. You can top it off with hand-cut chips and red cabbage. Finishing it off with dessert, opt for their strawberries-and-cream ice cream which comes from Cheshire Farm. The White Horse is a family-friendly restaurant and bar that caters to all kinds of people. It is a gastro-pub that is located at Chester CH1 2LY, UK and is open from 10:00 A.M. up to 11:00 P.M. If you want to go out at night, you can bring your kids as The White Horse features an amazing play area for the children. It is a great way to spend your summer in the city of Chester. During winter, The White Horse will light up some log fires to keep its customers warm. Aside from the traditional beer served at every other restaurant, The White Horse also offers wine which is mostly enjoyed with the light atmosphere of the restaurant. The Architect is located at the heart of Chester. While the name may refer to the profession of architecture, everyone is welcome to enjoy their impressive appetisers, ales, wines, and so much more. On top of that, The Architect is also famous for hosting different kinds of parties for any occasion. This pub actually houses the previous Georgian Building and is considered as an extended garden room. This venue is open which means that you can easily look out onto the Chester Racecourse which is located across The Architect. There are three words that will make you want to visit Hickory’s Smokehouse, and that is – amazing American BBQ! This bar surely knows how to cook the perfect BBQ that will indulge all of your senses. Furthermore, they also present a wide variety of dishes that all deserve a try. You ought to try their maple syrup as well as some of their newer foreign delicacies. Hickory’s Smokehouse is a great bar that even offers Goose Creek, American Rye exclusively brewed it for them. We all know that the great city of Chester is elegant during the day and at night. The restaurants and pubs that are featured along its streets are all amazing that it can get overwhelming finding the perfect spot for you and your friends to hang out. Nonetheless, if you are looking for a newer establishment, you should try ABode. To go here, you have to head up to the 5th floor of Grosvenor Rd, Chester CH1 2DJ, UK to check out their bar. It has recently been refurbished that gives the place a classic, sleek, and modern feel to it. ABode also offers an extensive range of excellent drinks and dishes that are truly of top-notch flavour. The Fiesta Havanas is located just across Kuckoo. Once you finished partying and enjoying a few hours of entertaining live music, you may head out to Fiesta Havanas, a place where you can enjoy a drink to the tune of classical Latina beats. This location is super cosy that the rhythmic buzz of the musical instruments can lure you into a deep conversation with your friends. They also offer live music and a DJ. Before you know it, you’ll be tapping your feet to the music while enjoying a drink in your hand. The Celler is a lounge bar located at 75 Watergate St, Chester CH1 2LB, UK and is open from 11:00 A.M. up to 12:00 A.M. It offers some of the strongest beers in the city, the finest wines in Europe, and top-notch cask ales. You can enjoy a meal that accompanies your drink quite well. You can do all of these as you get serenaded by great entertainment. Every Friday and Saturday from 10:00 P.M., The Cellar offers live music to help you unwind after your long trip to Chester. The Celler was known for winning Pub of the Year for years 2016, 2017, and 2018! We are pretty confident that they will also take this year’s award! Oddfellows is what we would call a traditional boozer, just a great pub and beer garden for those sunny summer afternoons. The Veeno Wine Bar is considered a haven for wine lovers. You can find some of the best wines here. You can experiment with different flavours and you can do this while you experience some of their best dishes. The Veeno Wine Bar is a gift for wine enthusiasts. They also offer a lounge where you can taste test wine that is all made in the family vineyard back in Sicily. Bar Lounge is one of the best places in Chester frequented by tourists and locals alike. Its atmosphere is very lively and sociable. You can interact with all kinds of people from different walks of life. You can enjoy all kinds of conversations with different kinds of people – an educational one, a debate, political opinions, a friendly one, or the usual conversation of where’s the best place to get the hottest steak in town, to which the answer is the Bar Lounge. Chester may be one of the most underrated cities, hopefully this list will help you uncover some of our hidden gems. The are plenty of taxis in Chester and they can either be booked via your hotel or grab one at a selection of taxis ranks that dot Chester. The hop on hop off bus is great to orientate your self around the city and cover most of the cities main attractions. Previous PostChester to Manchester Airport.